While many people across the northern hemisphere are preparing for an icy, snowy Christmas in December, South Africans are stocking up t-shirts, shorts and plenty of sunscreen because at this time in the year, the country becomes a literal hot-spot as summer is in full force. Enjoying cocktails at popular bars overlooking the famous Camps Bay and Clifton beaches in Cape Town. Visiting the iconic Table Mountain. Take a ride in a 360-degree rotating cable car offering you unparalleled views of Cape Town’s coastline. Once you reach the summit, bask in the wonder of the Mother City’s panoramic scenery, as well as an unobstructed view of the historic Robben Island. Drinking wine. If you’re a wine connoisseur, the Western Cape is ideal: the Constantia, Stellenbosch and Franschhoek wine routes produce a plethora of award-winning wines ready for tasting at picturesque wine estates. Surfing! If you love riding waves and always hate packing away your board in wintery December, come visit the east coast town of Jefferys Bay; it’s the epitome of a surfers’ paradise. Keen to learn about some of South Africa’s history? South West Township, better known as Soweto, was originally developed as a township for black residents during the Apartheid era. There are sightseeing tours available for you to get a glimpse into the country’s turbulent political past – and how it’s changed into a melting pot of South Africa’s culture. What about going on a safari? If you’re looking for a unique experience that will enrich all of your senses – and your soul – head to Mpumalanga and Limpopo for an unforgettable safari. 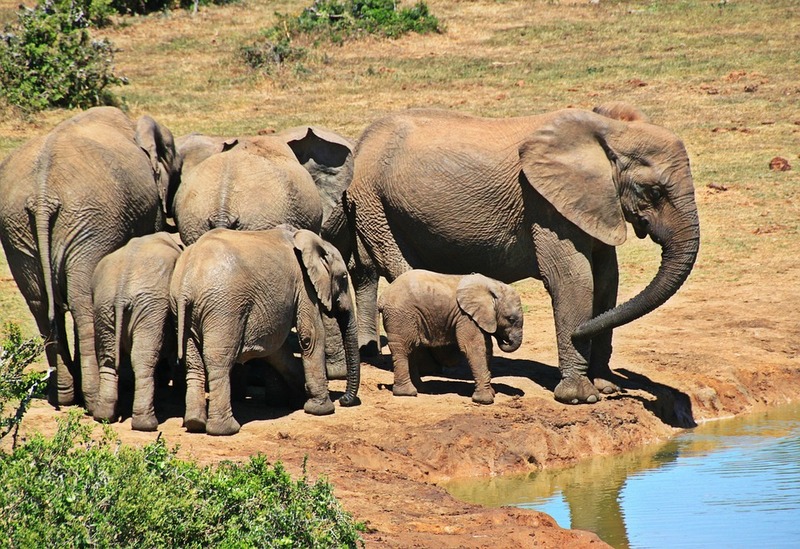 The glorious Greater Kruger National Park and Kruger National Park span across these two provinces and offer a diversity of wildlife and bird species. A safari offers you the opportunity to see these beautiful, fascinating animals living in their natural habitat. There are many game lodges throughout Southern Africa that offer an authentic safari experience. However, if you want a luxurious, exclusive safari that stands above the rest, look no further than Pondoro Game Lodge. Due to its superior location in the Balule Nature Reserve in the Greater Kruger National Park, the award-winning lodge offers its guests luxury private game drives; the experienced guides will use their expert tracking skills to ensure you’re able to witness the famed Big 5 (lion; elephant; rhino; leopard and buffalo). If you’re feeling adventurous, you can take a guided walk, allowing you to track wildlife on foot. Pondoro boasts five opulent suites offering ultimate comfort. They’re also equipped with private patios and views of the river. There are an additional three chalets that are decorated to showcase the African safari aesthetic. You also have the option of spending a night in the treehouse hide that overlooks a spot-lit waterhole. These experiences are just a taste of what you can expect from a visit to the country this festive season. Get your summer clothes and swim suits packed and come celebrate Christmas in South Africa!